WASHINGTON — Alabama Sen. Jeff Sessions, who had been nominated by President Donald Trump, was confirmed Wednesday night to serve as U.S. attorney general—making Sessions the leader of the U.S. Department of Justice, whose constitutional duty it is to protect and defend all Americans, including the unborn. He was approved 52-47 mostly along partly lines, with one Democrat, Sen. Joe Manchin of West Virginia, supporting his nomination. As previously reported, Sessions had stated during his confirmation hearing last month that while he believes Roe v. Wade is unconstitutional, he would respect and follow it as attorney general. Sessions repeated the sentiment when later asked by Feinstein why he doesn’t think Roe is the law. “I haven’t said that a woman’s right to choose or Roe v. Wade and its progeny is not the law of the land or not clear today, so I would follow that law,” he contended. However, following Sessions remarks, some expressed disappointment, including Josh Hammer of the Daily Wire. “Jeff Sessions, who will soon be the chief law enforcement officer representing one-third of the federal government, should not think of Roe v. Wade—or its misbegotten progeny, such as 1992’s Planned Parenthood v. Casey or last term’s Whole Women’s Health v. Hellerstedt—as being the unchallengeable ‘law of the land,'” he wrote. Hammer pointed to statements from James Madison, Thomas Jefferson and Abraham Lincoln, who opposed judicial supremacy, and noted that rulings like the 1857 decision in Dred Scott v. Sandford—which upheld slavery and denied Scott the right to live free—were wrong. “In standing with the founders, Lincoln, and the unborn alike by pledging to refuse to enforce Roe and its progeny as binding legal precedent—and thereby opposing the fallacious doctrine of judicial supremacy—Trump and Sessions would find themselves, as the Left might phrase it, on ‘the right side of history,'” he opined. “The Supreme Court has ruled on that. The dissents dissented vigorously, but it was 5-4, and five justices on the Supreme Court. The majority of the court has established the definition of marriage for the entire United States of America, and I will follow that decision,” he replied. Sessions’ nomination was hotly debated, as he was resisted by Democrats who accused him of having a racist past, an accusation that he denied. Republicans were largely supportive of Sessions, who is viewed as being conservative in belief. 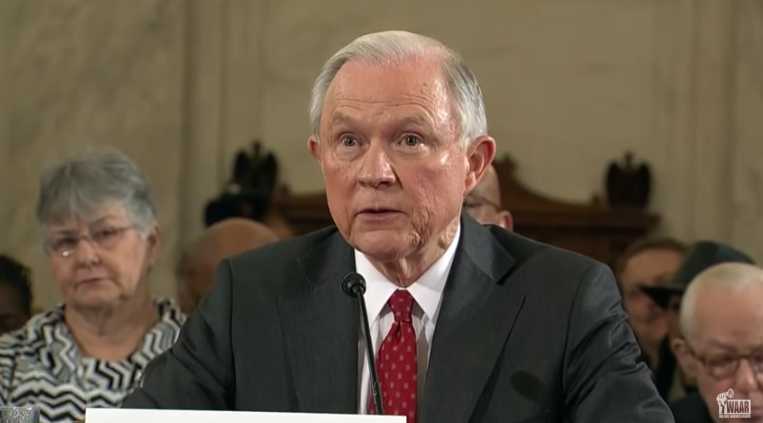 According to reports, Sessions serves as a Sunday school teacher at Ashland Place United Methodist Church in Mobile, Alabama.